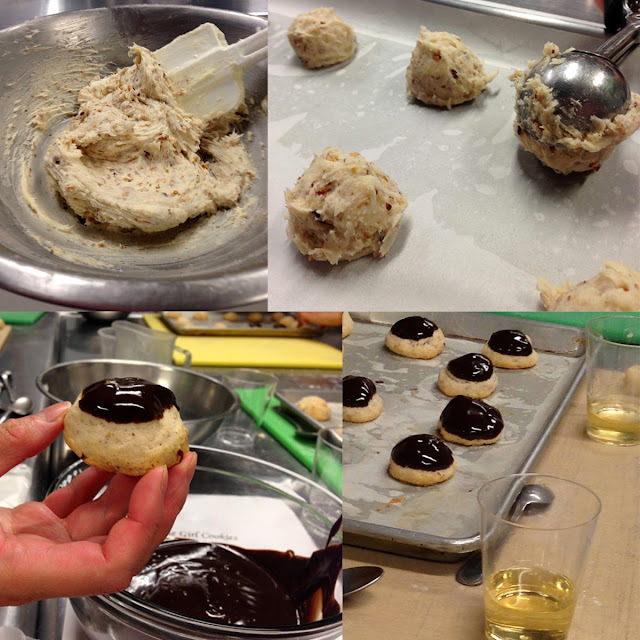 A Bar Cart in Brooklyn: Entertaining Advice from Chef Dave, Co-Owner of One Girl Cookies! Entertaining Advice from Chef Dave, Co-Owner of One Girl Cookies! During the first baking class I attended at One Girl Cookies, I realized I could learn a lot more from Chef Dave than baking tips; he is the most fantastic host. 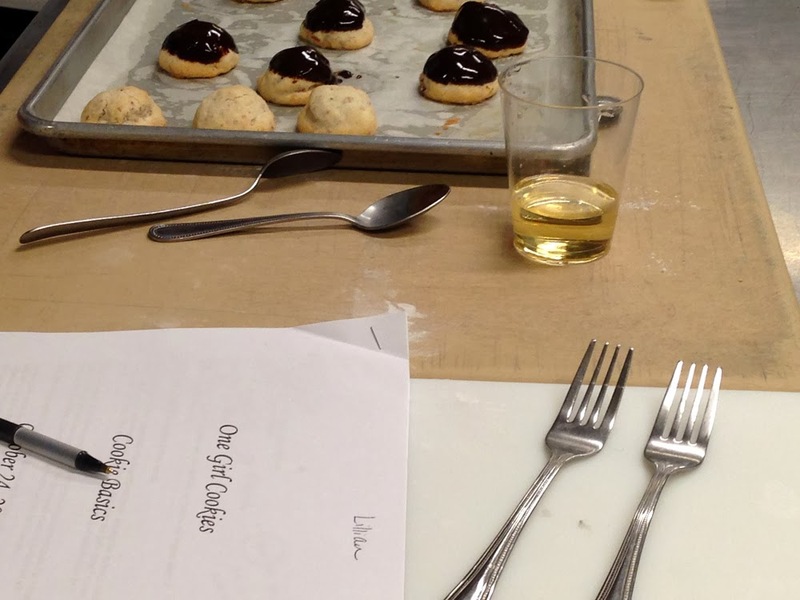 Presented with a dozen strangers, most of whom rushed to class straight from work without dinner, he creates an intimate, festive atmosphere where his students can learn about baking but also relax and enjoy the evening. When you arrive for class you are greeted first by the Chef, and then by a spread of cheese, nuts, and wine. Chef Dave will happily answer any question, and encourages even those with no kitchen experience to participate without worry of failure. He makes even the most advanced techniques seem approachable - despite being in a professional kitchen, there is nothing intimidating about the process. And don't worry if you're a more experienced baker - he'll notice and make sure you learn something for your level. What left the biggest impression on me is that during this whole time, Chef Dave never fails to be a good host - even when there are dozens of cookies in the oven and the timer is going off, he is eyeing some near-empty glasses and offering to open another bottle of wine. He also gives directions in terms of how to prepare and present the items at home for your own guests. By the end of the evening you'll leave not only with some new skills and a box of warm baked goods, but also with the refreshing feeling of having spent a fun evening with a good friend. Chef Dave was nice enough to give us some tips about entertaining, below. Name a few store bought items you like to have on hand so you're prepared for a last minute celebration: Chef Dave: Honey, olives, radishes, hard salami - You can prepare a simple appetizer board very quickly with a few backups like this. What about homemade? Chef Dave: We always have a few frozen cookies at home. They thaw quickly and it is a nice simple end to a meal. What are the entertaining supplies you rely on? Chef Dave: Keep your knives sharp! Also my wife has a lot of different serving pieces from very large to very small. You can take a simple thing like radishes and serve them with vodka and sea salt for dipping in beautiful dishes - it makes a great appetizer. What is your go-to dessert to whip up at the last minute? Chef Dave: When all else fails, I macerate fresh berries and make fresh whipped cream while guests are waiting for dessert. You can get the ingredients at any store and fresh whipped cream is really special. People like to see it all coming together and it is delicious! When you do have a lot of time to prepare, what do you like to serve? Chef Dave: I love to make pies and tarts, and serve them with mascarpone or ice cream. They are special and it is the dessert that I want to eat! People can be picky about flavors. What do you consider the best crowd-pleasing dessert? Chef Dave: People love chocolate. Even if they don't want a huge dessert, even 'non dessert' people will eat a few bites of a nice quality chocolate. Some people consider themselves cooks, not bakers, because they can't follow a recipe. Any suggestions for someone who is NOT a baker but still wants to serve something nice? 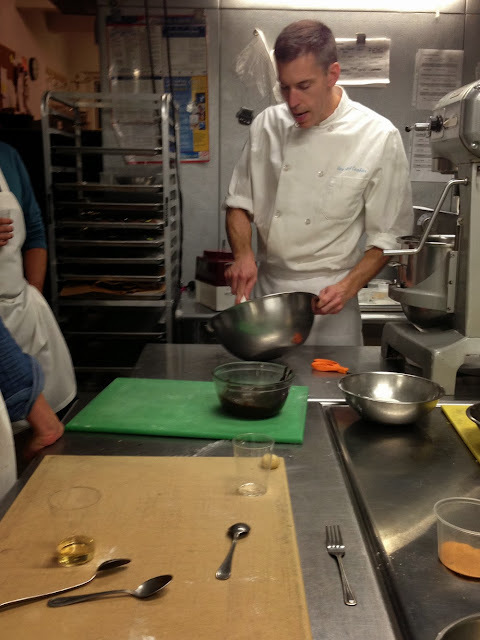 Chef Dave: I think that you can make some simple recipes like a quick bread to boost your confidence. Even something simple can make a nice dessert - serve banana bread with a great caramel ice cream and guests will be thrilled. Any other general advice for the host/hostess? Chef Dave: Make the things you want to eat. When you have someone in your home you are sharing a part of you, so you should express that in your menu. 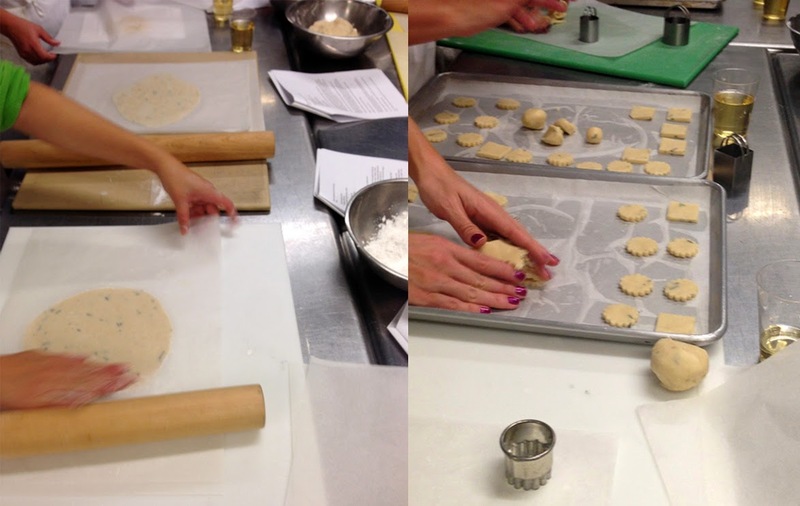 One Girl Cookies baking classes take place monthly, with the exception of December. For those in NYC, there is a class coming up on November 14, featuring their famous apple pie. You'll learn some skills just in time for Thanksgiving, plus every student gets to bring home a pie! I'm told it's the most popular class of the year, so I'd suggest signing up ASAP. I will definitely be there!